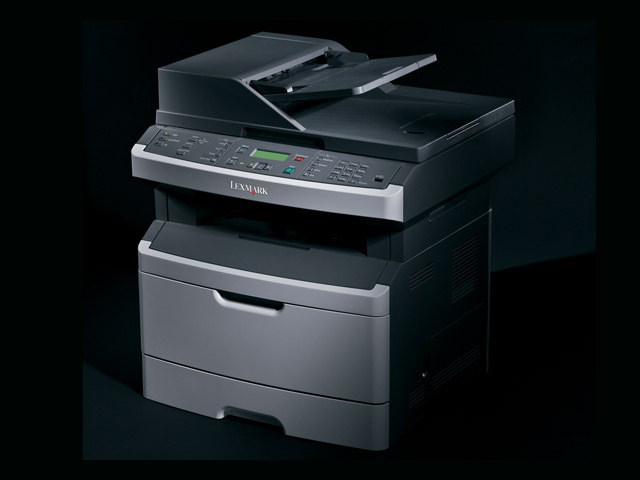 A fast, versatile 3-in-1 multifunction device, the Lexmark X363dn offers advanced productivity features like duplex scanning – plus print and copy speeds up to 33 ppm. 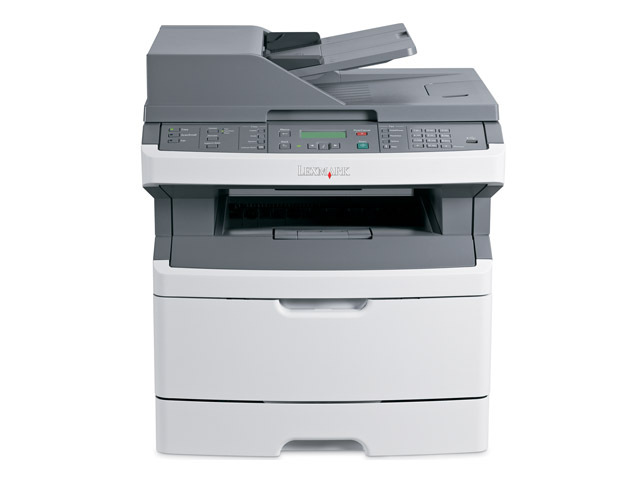 With their robust, high-quality design, Lexmark MFPs deliver reliability that makes a difference. They bring excellence to every aspect of the multifunction experience – from the invoices you’re scanning to the important documents you need printed for the next meeting. Take a load off your IT department. These devices are network-ready and very easy to set up. If you have multiple Lexmark devices installed, the Lexmark Universal Driver offers even easier deployment. Once up and running, step-by-step on-screen messaging provides users with clear information. What’s more, Lexmark MarkVision Professional software provides simplified remote management and automated tools to keep your workday flowing! Like all of Lexmark’s business-class devices, the Lexmark X264dn and X360 Series MFPs come standard with Lexmark’s solid guarantee of 1-Year Onsite Service, which provides you with next-business-day response. You can also extend your guarantee further with a customised offering to match your specific needs. This can cover everything from guarantee extensions (up to a total of five years) to installation, training and much more. Lexmark hardware and supplies are made for each other. When used together, they ensure optimal performance, protecting the quality of your documents as well as your device. Lexmark cartridges help protect the environment, too. Using Lexmark high-yield toner cartridges conserves resources by reducing the number of cartridges you’ll use over the life of your printer. Lexmark practises ‘zero landfill’ for cartridges, reusing or recycling 100% of all returns through the free-of-charge Lexmark Cartridge Collection Programme. Print image files straight from a flash drive with the Direct USB port† – you can scan to it as well! You’ll be up and running quickly with little or virtually no training. Copying and scanning is as easy as a few touches of a button. And the intuitive backlit operator panel offers two lines of text to guide newcomers through printing and maintenance with ease. With Lexmark’s instant-warm-up fuser, your MFP will be racing through documents in the time it takes many other devices to wake up. In addition to getting your print jobs in your hands faster – just seconds from standby – you’ll also benefit from increased efficiency. So you can save time, energy and money all at once! The Lexmark Scan Center offers a complete range of features to ‘digitise’ documents and integrate them into your daily workflow with ease. Preview your image, adjust contrast and colours, and save your scan in multiple file formats. Then send your scan to various destinations, either straight by email or over your network to a shared drive, PC or business application. With built-in software for optical character recognition (OCR), you can even transform hardcopy text into editable form – a useful tool that will save you having to retype heavy text from scratch. 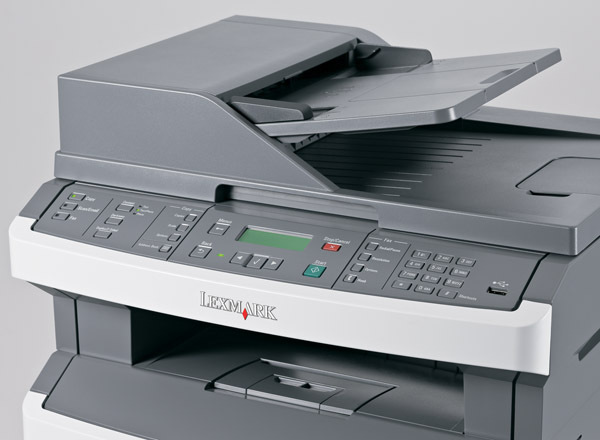 A fast, versatile 3-in-1 multifunction device, the Lexmark X363dn offers advanced productivity features, including duplex scanning and a 50-sheet automatic document feeder for convenient hands-free copies. Zip through your print runs at up to 33 ppm, and add one of the two optional second paper drawers to load up to 800 sheets. Office efficiency is important to the success of your business, so Lexmark makes sure small workgroups can get in on the action too! Now you can enjoy rapid output up to 33 ppm, and the first page out in as fast as fast as 7 seconds. What’s more, you’ll have the tools to race through your workloads at record speeds. Consolidating all your document functions into one efficient network device helps you reduce energy, hardware and supplies consumption. But Lexmark takes eco-accountability further to help you print responsibly at every phase of your office work.